Froyo is good, Gingerbread is better. That’s how software upgrades typically work. Google is trying to tackle the fragmentation problem by collaborating with manufacturers and bringing in a 18-month window to roll out upgrades. Two years down the line the number of Android versions available would significantly come down. Until then we might need to maintain lists such as this. Gingerbread or Android 2.3 is Google’s latest (as of Jun 20, 2011) stable OS available. 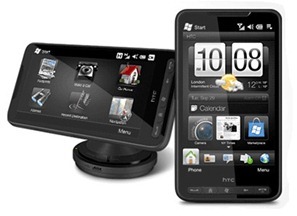 It is available out of the box for some phones like HTC Sensation and Samsung Galaxy S2. For some it is available as an upgrade. For quite a few a relatively hassle free upgrade is possible, thanks to Android’s proliferation and re-branded phones available across Asia. Then there’s the fourth category, who upgrade their phone on their own. This list covers the first three categories. 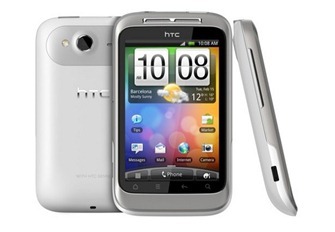 HTC Sensation is a dual-core phone powered by 1.2 GHz Qualcomm Snapdragon CPU, a humungous 4.3 inch Super LCD touch screen, 8 megapixel camera, a 1.3 megapixel front-facing camera. Buy Now Price: Rs. 30499. Samsung Galaxy S2 has a 4.3 inch Super AMOLED touch screen with 480×800 pixel resolution, Gorilla Glass, 32 GB storage, 1GB RAM, 8 megapixel auto-focus camera with LED flash, 2 megapixel secondary camera and 1.2 GHz ARM Cortex processor. Buy Now Price: Rs. 30999. Also known as the facebook phone HTC Salsa has a 3.4 inch full touch screen with 480×320 resolution, 600 MHz processor, 512 MB RAM, 5 megapixel camera, VGA front-camera and all the good stuff (WiFi, Bluetooth, 3G, GPS). Latest price : Rs. 20399. What makes it a facebook phone? 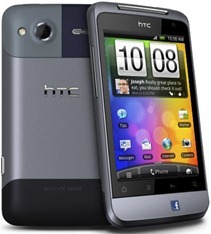 HTC Wildfire S has a 3.2 inch HVGA display, 600 MHz processor, 512 MB RAM, WiFi, GPS and 5 megapixel auto focus camera. Latest price : Rs. 13899. More here. 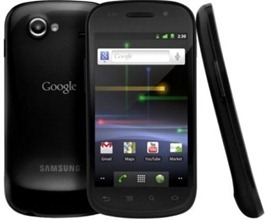 Nexus S comes with a 4 inch WVGA capacitive Super AMOLED touch screen with 480×800 pixel screen resolution. 1GHz Cortex A8 (Hummingbird) processor, 512 MB RAM and 16 GB flash memory should satisfy any power user. Nexus S is loaded with a 5 megapixel camera and a front-facing VGA camera. Latest price : Rs. 19999. More here. Desire HD is powered by 1GHz Qualcomm Snapdragon 8255 processor and 768 MB RAM. It has a 8 megapixel camera which records high definition videos up to 720p. Desire HD sports a 4.3 -inch SLCD WVGA touch screen. Latest price : Rs. 25199. More here. India’s first dual core phone, Optimus 2X has a4-inch WVGA display with 480×800 pixel resolution, 8 megapixel camera, 1.3 megapixel front-facing camera, Dual-core 1GHz ARM Cortex-A9 processor, ULP GeForce GPU, Tegra 2 chipset and 512 MB RAM. Latest price : Rs. 26990. More here. HTC Incredible S is powered by 1GHz Qualcomm Snapdragon 8255 processor and 768 MB RAM. It has a 8 megapixel camera, 1.3 megapixel front-facing camera and 4-inch LCD cinematic touchscreen. Latest price : Rs. 26399. Rs. . More here. Powered by Qualcomm Snapdragon 1 GHz processor, Ideos X6 has a wide 4.1 inch WVGA capacitive touch screen and 512 MB RAM and ROM. It’s a 3G phone with assisted GPS, Wi-Fi and Bluetooth are on board. X6 has5 megapixel camera with auto focus and LED flash. Check out how to upgrade Mi 410 to Gingerbread here. Mi 410 has a screen size if 4.1 inch, 480×800 pixel resolution, Qualcomm 1GHz snapdragon processor, 3.5G HSPA, WI-Fi, Bluetooth V3.0, GPS along with AGPS, USB and a 5 Mega pixel Camera. Check out how to upgrade Mi 410 to Gingerbread here. Note : There could be some phones missing from this list. Please comment about them, and it shall be added. Can glaxy pop support android 2.3? How is the performance of Galaxy S Plus, Can you recommand me this, I would like to go for it. I have got Samsung Galaxy Fit S5670 and it’s quiet good, but for the low battery backup. This has Android 2.2, Is is possible to have update of 2.3.
nc 1 like htc sensetion anroid 2.3 gingerbread os my nxt fone. give update to every phone early. CAN I GET 2.3 IN 10000. Can I upgrade in my optimus me? large screen , android, good touch , 1500 mah battery backup….. aur games bhi mast hain. I think spice mi 410 is the best. Q is me naya kya hai bhai…? I recently purchased an Huawei u8800 x5. It is not able to connect to my BSNL WIFI modem. The phone is tested in the shop and Wifi works OK. The problem seems to be connection between the BSNL modem and my phone. The shop "Cell World", Begumpet, has not been able to help so far. Enter your BSNL's router SSID and password on the phone under Wifi settings. Htc wildfire s is the best. yes I can get the upgrade! 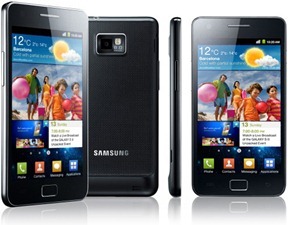 can galaxy 3 support android 2.3.
can we upgrade the anroid sftw from 2.1 version to 2.3 for video calling facility. LG optimous p500 also update to Android 2.3.click on this link. classic… thodi prise kam hogi tab le lenge.